Engagement ring. 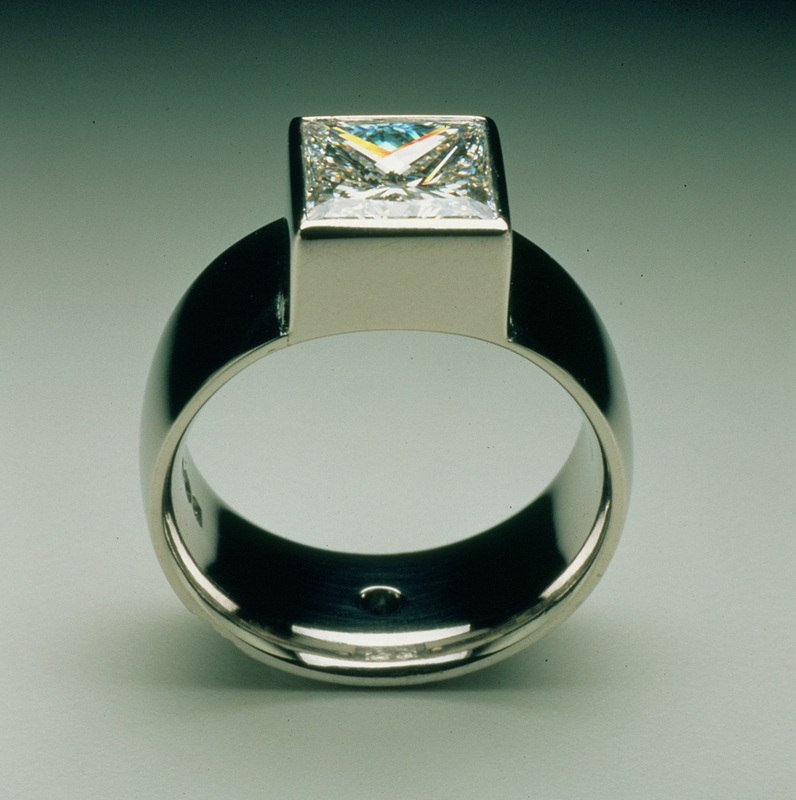 Commission, square Diamond set in platinum. Small blue diamond in centre of back of the shank.